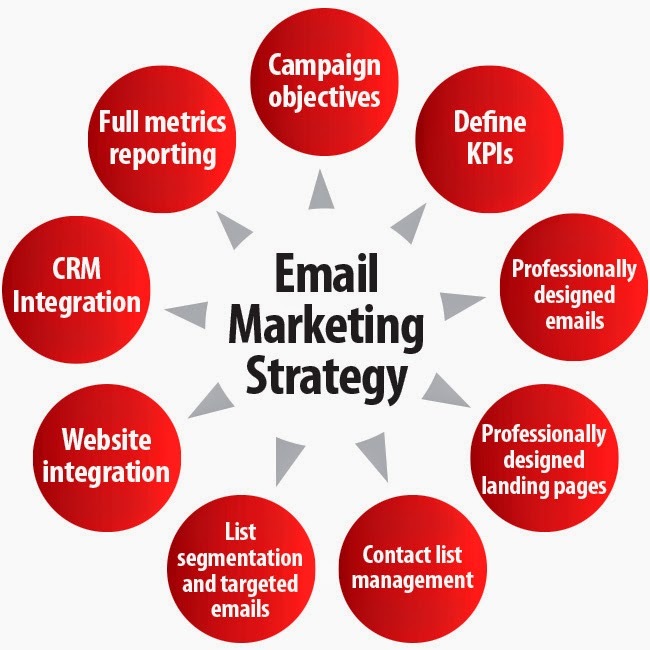 Email Marketing can help businesses keep in touch with customers and prospects. But there's a big difference between simply adding people to your contacts list and running a savvy campaign that drives traffic to your website and generates sales. 1. Split test your opt-in forms. Split testing can be a powerful tool in the online marketer's arsenal. You can test different variables on your website and in your marketing campaigns to determine which combinations will generate the most email subscriptions. For example, if you can't decide where to place your opt-in form on your website, or what color to use for your "Sign Up Now" button, a split test can pit various choices against each other and determine a statistically significant winner. To get started with split testing, consult your email management program's help section. Most top-tier list management programs -- including Aweber, MailChimp, iContact and ConstantContact -- offer split testing as a default function. 2. Split test broadcast messages. Your "broadcast messages" also can be useful candidates for split testing. These are the messages you send spontaneously, unlike scheduled follow-up emails that go out at a set time. Because broadcast messages usually announce timely information such as product launches and sales promotions, it can be important to make them as effective as possible. Consider split testing both the subject line and call to action in your broadcast messages. Even small improvements in open and click-through rates can make a significant difference in the ROI for your email marketing. One of the greatest benefits of having customers' email addresses is the market research potential. For example, if you're trying to decide whether to stock Brand X or Brand Y, you don't need to rely on gut instinct. Set up a survey and use email to ask customers for their feedback. You also can gather demographic data about them through these surveys. 4. Help now and sell later. Too many people approach email marketing as yet another opportunity to make their sales pitch. But that's often a shortsighted view. Instead, use your email messages to provide helpful information and deepen your customer relationships. As customers come to rely on you as an industry expert, you will likely see a corresponding increase in sales. When composing a marketing message, which do you think will be more effective: a one-size-fits-all pitch that promotes the same product regardless of the customer's purchase history? Or one that offers promotions for products the customer bought most recently? The better you can tailor your email marketing messages to specific customers, the more effective your promotions will likely be. The key lies in email list segments -- groups of subscribers who have a certain characteristic in common. For example, you could create segments for subscribers who have spent a certain amount of money with your company, or who open every single message you send. The specific segments that work best will vary by business and industry. But by experimenting with different types of segmenting and targeting, you can make your messages more interesting and relevant to subscribers and, consequently, more likely to result in sales. 6. Regularly scrub your lists. Email list subscribers who no longer open your messages are wasting your time and money. Because most list management programs bill by the number of email addresses, it's important to take time each month to "scrub" your list and remove people you've fallen out of touch with. You can use the search function in your email management program to identify subscribers who haven't opened a message in a given period of time, such as the last two months, and who were added to your list before that "scrub" time. Keeping your list clean will help ensure that it's as effective as possible.